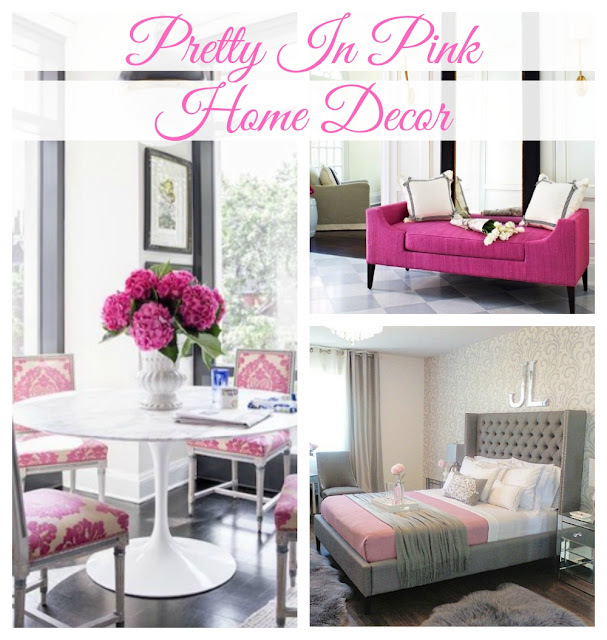 Lush Fab Glam Inspired Lifestyle For The Modern Woman: Pretty In Pink Home Decor. Pretty In Pink Home Decor. Look 1: Create a welcoming entry way with fresh flowers and a pink throw pillow. 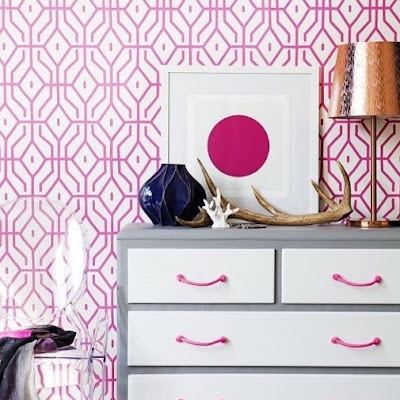 Look 2: Wow guests at the front door with a bold graphic-print wall paper in pink. Look 3: Create a chic entryway with a pink table that's practical and beautiful. Look 4: Perfectly placed pink decor add beautiful pops of color to this neutral living room. 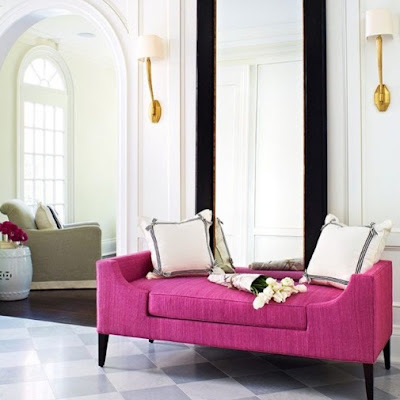 Look 5: A deep pink chaise adds a modern touch to this traditional living room. 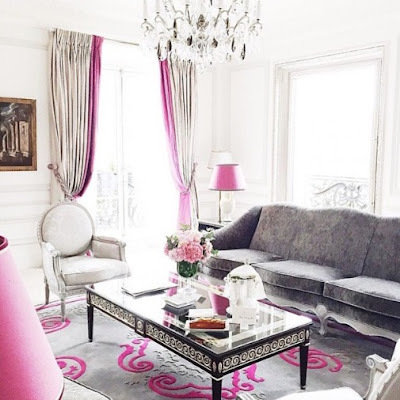 Look 6: From lampshades to curtains and rugs there are so many creative ways to add a bright burst of color (in this case pink) to your living room. 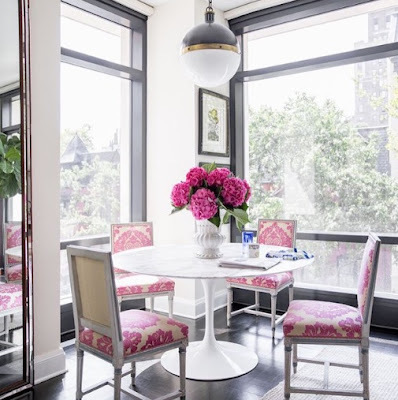 Look 7: Pink upholstered chairs add color to this light-filled dining room. Look 8: Pink bedding and flowers add a delicate and romantic touch to this modern grey bedroom. 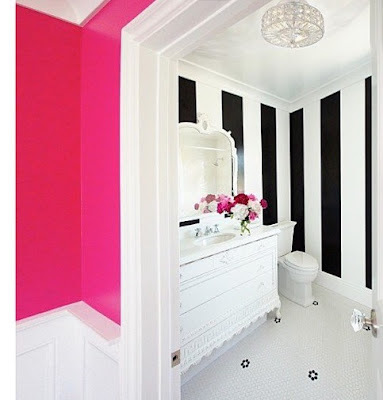 Look 9: The pink hall way outside this chic, black and white powder room is a perfect example of an unexpected design choice that transforms a home from drab to fab. 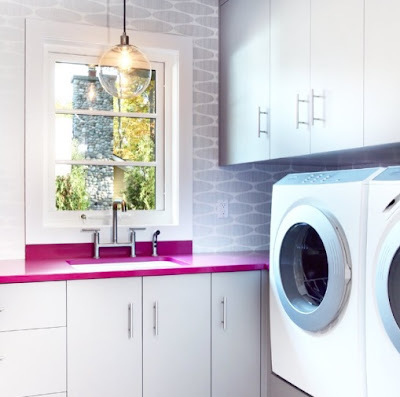 Look 10: Laundry time just got fabulous as this pretty in pink counter tops adds a delightful pop of color to this all white laundry room. Which pretty in pink room is your favorite? Share with us by leaving a comment below. Elegant and functional! Thank you! 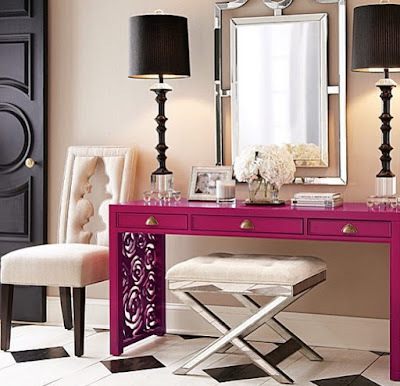 That shocking pink desk looks really good in those surroundings!